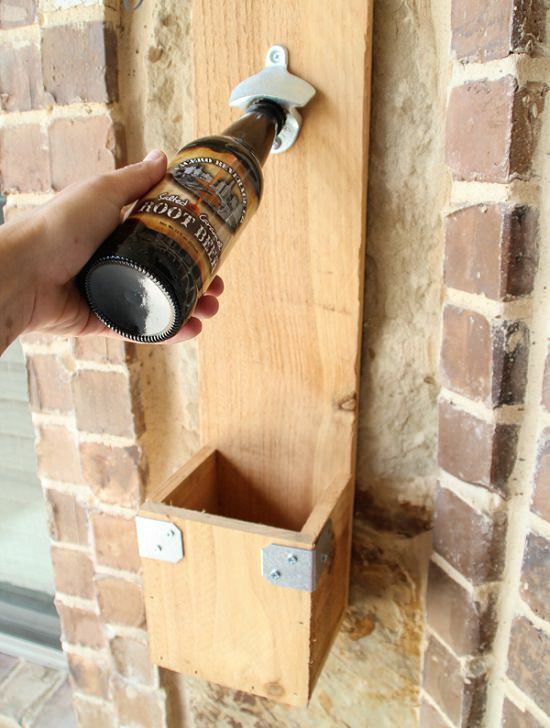 These best DIY bottle cap opener ideas will make the process of opening bottles easy and fun. All these ideas are worth a try! 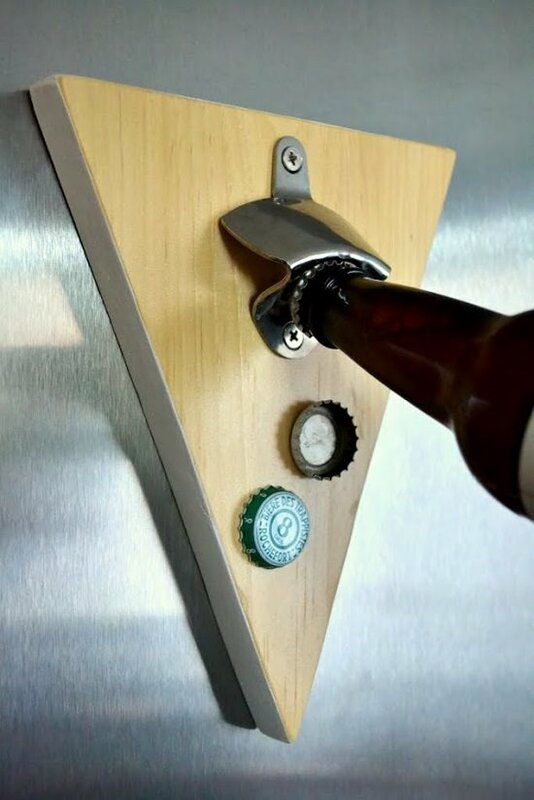 This wooden, wall-mounted bottle opener is an easy way to customize existing bottle openers, to make them more convenient and purposeful. Get the DIY here. 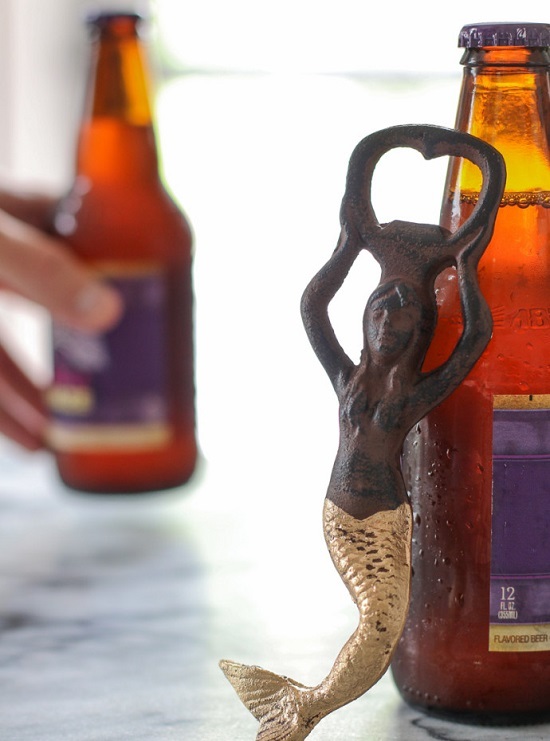 Made of wood and nail, this quirky bottle opener doesn’t just uncap but also sticks them on the fridge for later use. Visit Art Of Manliness to know more. 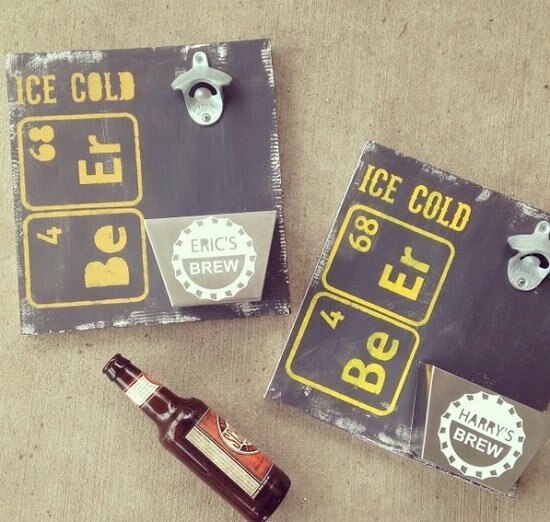 Add flair to the uncapping game with rare-earth magnets installed with your DIY bottle opener. See this article for the instructions. 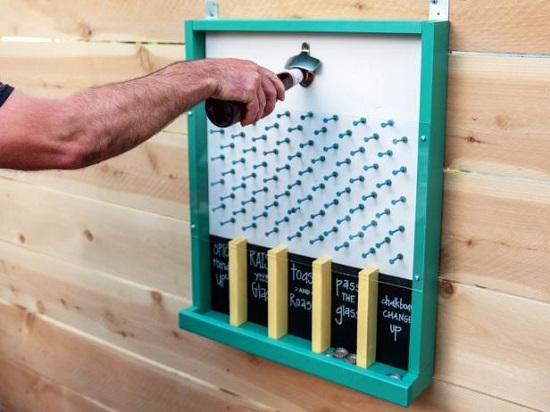 If drinking games are your thing, consider creating this Plinko-inspired bottle opener where the collected caps decide the winner. Visit DIY Network for the detailed post. 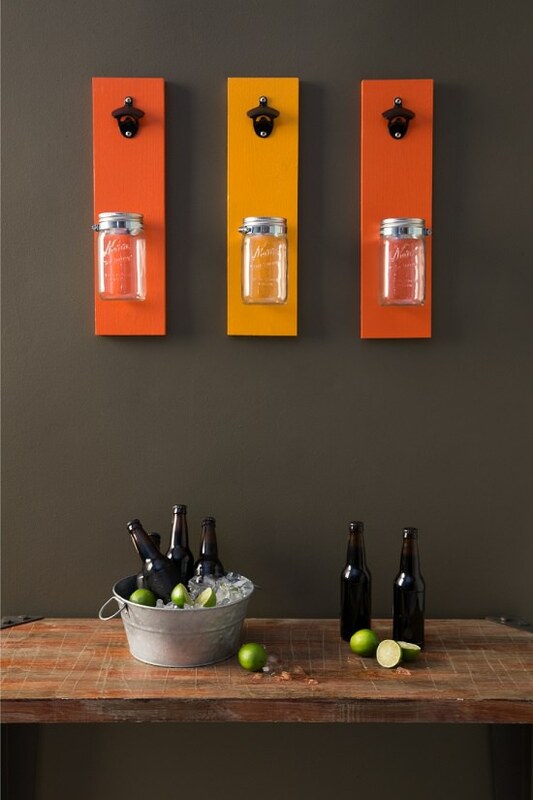 This wall mounted bottle opener with its neon color and design is an easy way to bring class to the bar area. Curbly came up with this idea. 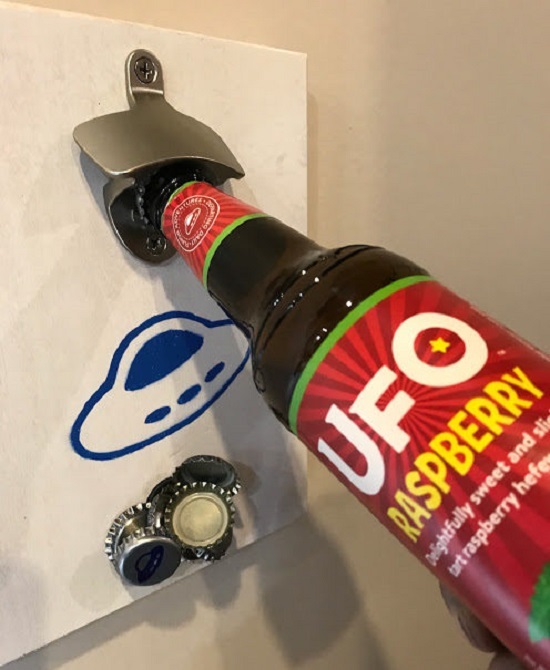 Capturing caps and compliments, this cool bottle opener is a trendy spin-off of storebought versions and gets done under an hour. Click here to know more. 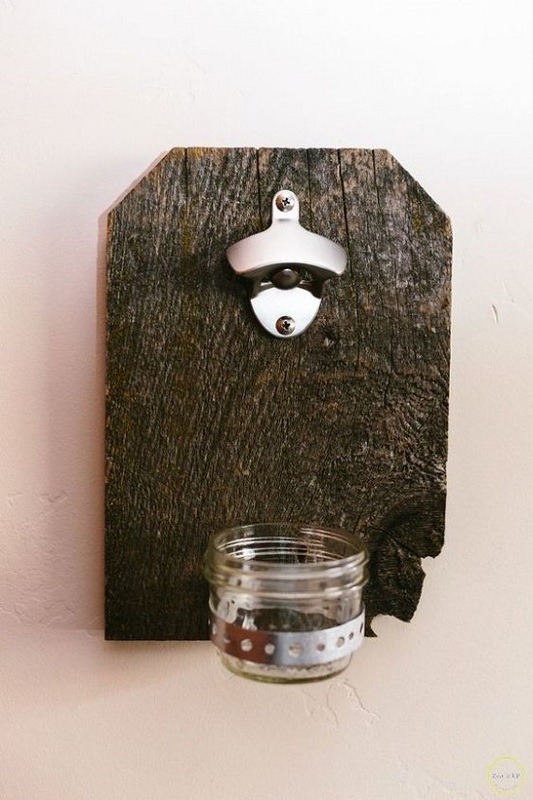 Put old pipes and reclaimed wood to use to create this eye-catching bottle opener perfect for any part of the home or yard. We found the instructions here. Unique and useful, this walnut wood bottle opener rips off caps with a quarter and collects them discreetly with a hidden earth magnet. Follow the steps here. 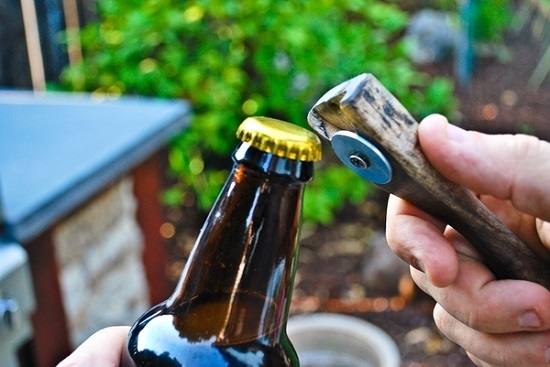 The wrench bottle opener by Instructables is for those who don’t have much time or woodworking skills to spare, as it is the most basic that DIY bottle openers can get. 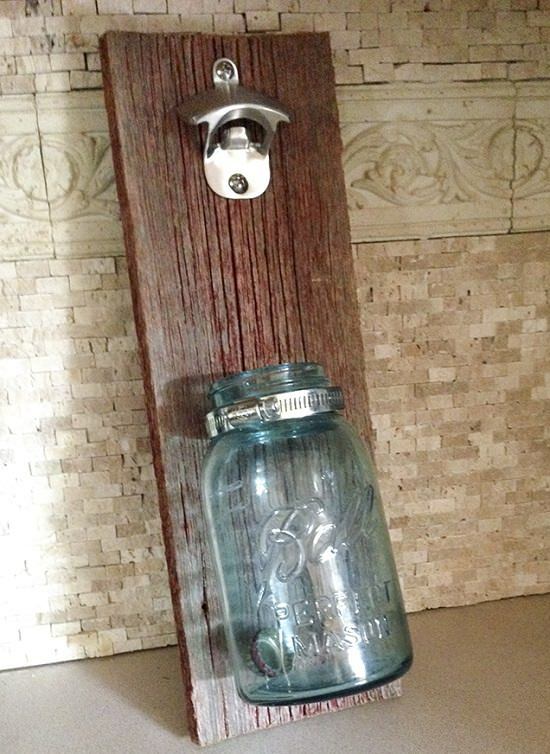 Add an artsy, more personalized touch to storebought bottle openers with some reclaimed wood, paint and any cap catcher of your choice. Get the details here. 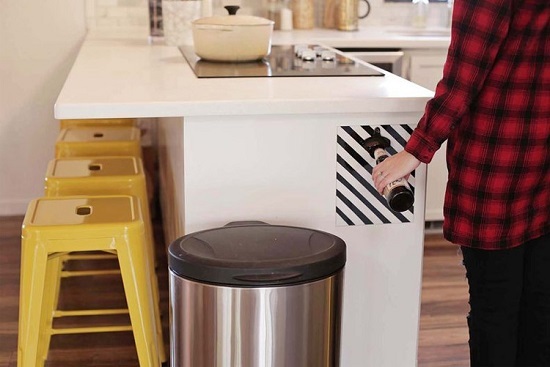 Easy to make and store, the DIY plexiglass bottle opener by A Beautiful Mess has a polished look to it that is sure to put your expensive kitchen decor to shame. 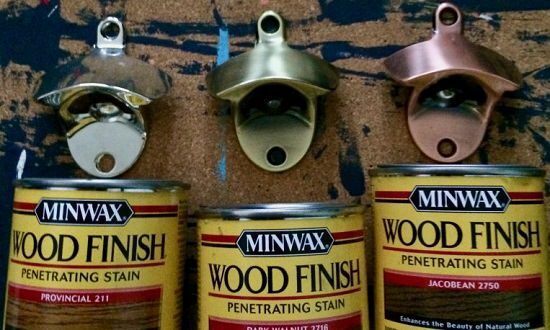 This DIY wooden opener makes it easy to play hostess while acting as a superb wall decoration. Take guidance from this post. 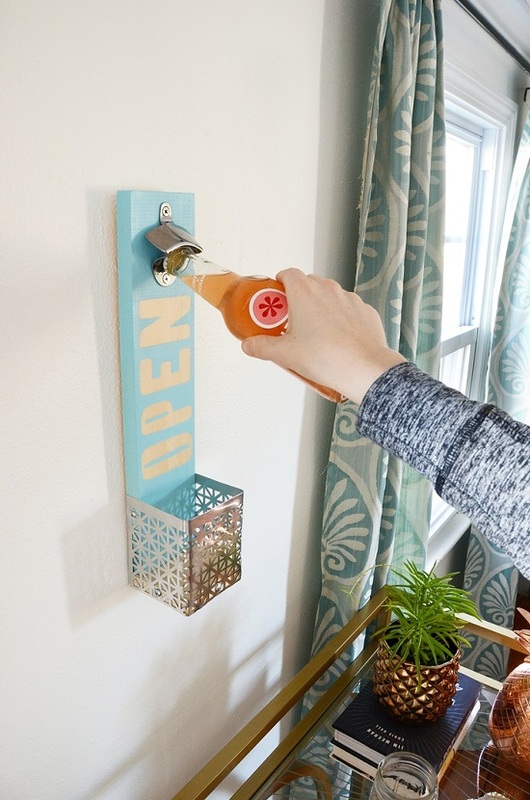 This wooden bottle opener makes an excellent holiday gift especially because it can be personalized by adding lettering, patterns or stencils on the magnetized surface. To know more, click here. 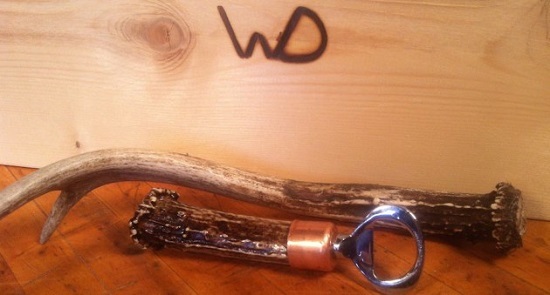 For a grand touch to the dining table, whip up this cool bottle opener with a stray antler and salvaged wood. Get the details here. 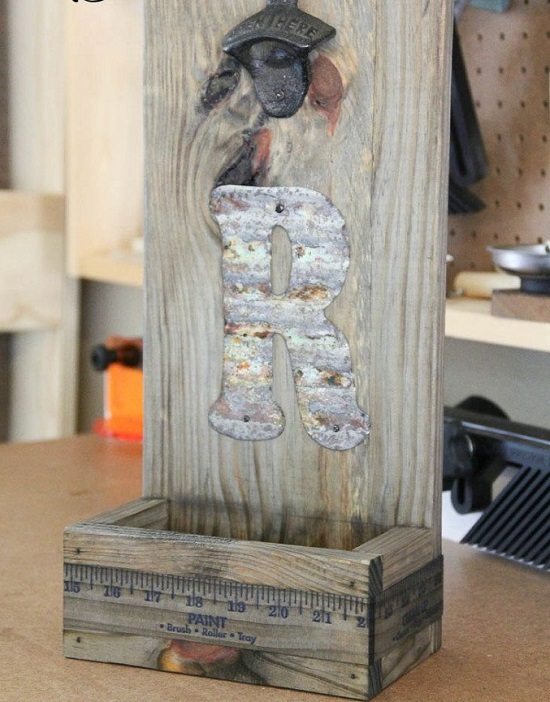 If you’re looking for a Father’s Day gift that is handmade but neither cheesy nor challenging, consider giving this wooden sign bottle opener a try. The easy steps are here. Who wouldn’t want this weather-beaten mermaid with its golden tail! The perfect combination of vintage and whimsical charm makes the bottle opener worthy as party favors or gifts. This post provides the instructions. 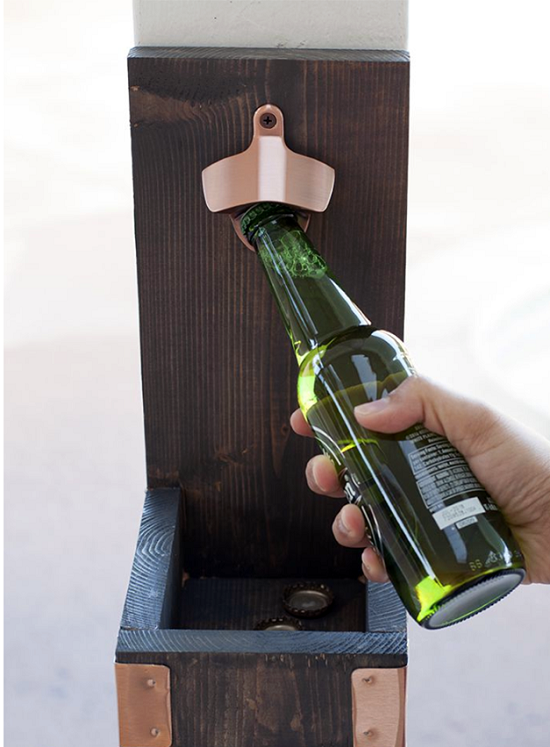 This cute little beer bottle opener is convenience personified, with its compact size, cap catcher and wall-mounted storage, making it a perfect addition to the man cave. Visit Home talk. Photo gallery walls are a thing of the past. 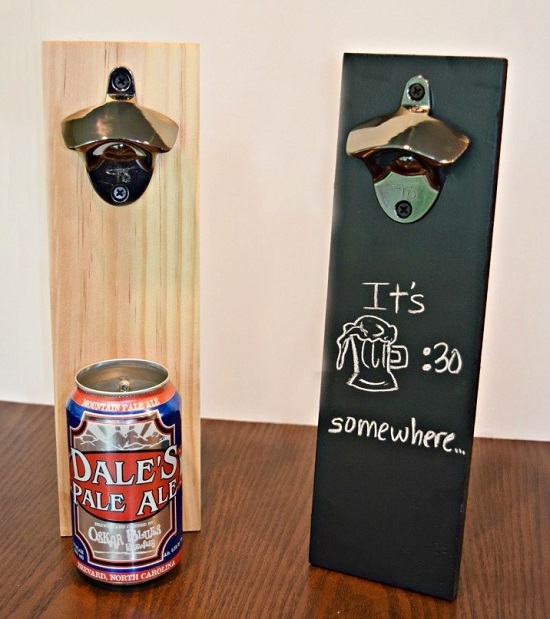 Surprise the number one guy in your life with this unique arrangement of handmade mounted bottle openers for Father’s Day. Here’s how to make it! 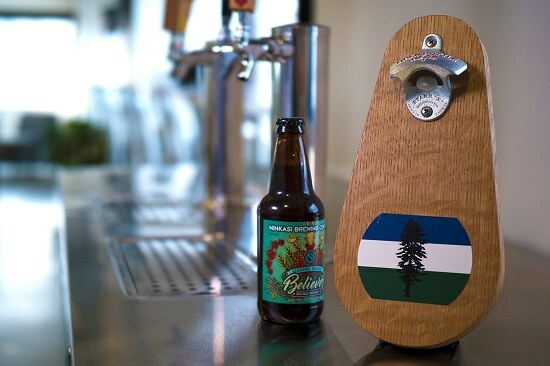 This unbelievably easy to personalize bottle opener is a thoughtful gift to someone who loves handmade stuff and won’t go a day without beer. Make your own by following this post. 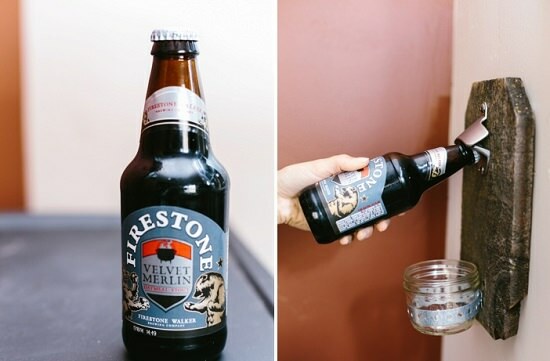 What we like about this DIY beer bottle opener is that it’s vintage, won’t rust and has the potential to last a lifetime. Simply follow these instructions. 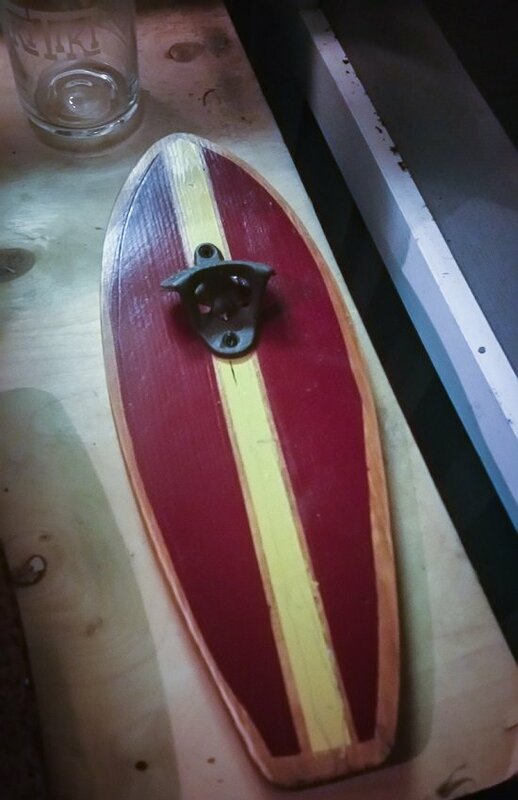 Here’s a surfboard bottle opener idea that uses the best-reclaimed wood you have in your stash and gets done in few minutes straight. Waiting for the paint to dry is the real challenge. 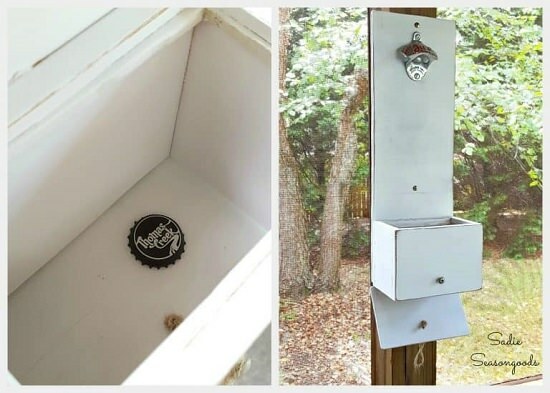 With weatherproof chalk paint, rustic-looking flat head screws, and a neat little cap catcher, this bottle opener arrangement is ready for the outdoors. The step by step tutorial is here. 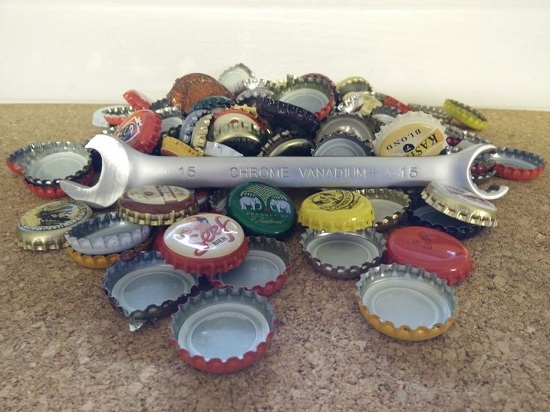 Here’s a unique bottle opener that can be made using items lying around in your garage. 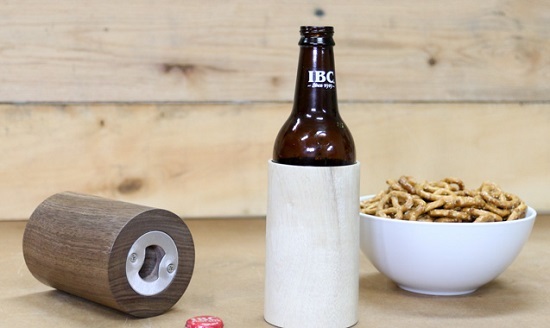 This DIY wooden beer koozie with its in-built bottle opener takes your can holding the game to the next level altogether. 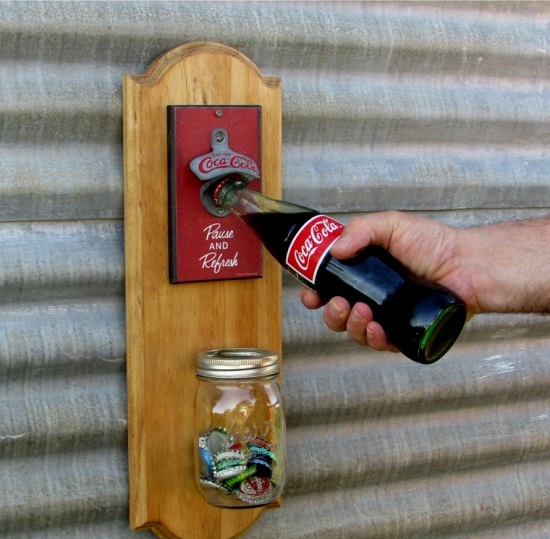 The coca-cola bottle opener comes with a cap collector and a wall-mounted display for those who keep losing their opener and can’t find it on time. The DIY to make it is here. The textured finish on this scrap black walnut wood has a rustic feel to it, making this bottle opener perfect for whipping out on outdoor gatherings. The steps to make it are here.